Lands Die. The Living Light Fades. An Ancient Darkness Awakens. "This first book of Cooper's is beautifully written, action packed, and left me absolutely wanting more!" "Wow... I believe a new master story teller has arrived in the fantasy genre. 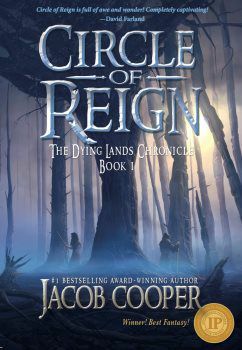 If you enjoy the stories of Guy Gavriel Kay, Brandon Sanderson, and Patrick Rothfuss you won't be disappointed with Jacob Cooper." The rebirthing of lands ceased decades ago. The world of Våleira is dying. Only Arlethia, the Western Province of the Realm, remains untainted by the Ancient Dark’s Influence. Reign, the young daughter of Arlethian Lord Thannuel Kerr, becomes entangled in a perilous web of deceit, greed, and assassination plots after witnessing something horrific – something that will destroy all she knows and loves. As threats culminate, she and her twin brother, Hedron, must battle demons on every side – both external and internal – in their efforts to save Arlethia from extinction, as they simultaneously reach for their own personal redemption. But they have become pariahs to their own people. There will be few that dare to stand with them in the dimming Light – and even fewer that will survive. "I saw this book pop up in my recommendations and I am very glad it did. The story was thoroughly enjoyable and very well written. I think I might have to pick up the rest of the books in this series." "I have not read the other books in this series. From what I gather, this is something of a prequel (this is book 0). So, having said that, I fully plan to read the rest of the books. I picked this up on a whim and I am glad I did. Writing is good and the story is very intriguing!" "This book so thoroughly envelops the reader in its world you feel logy when you emerge. This total immersion is a delight to the senses. And his characters and plot roll forward naturally and with great energy. I was so excited to discover this new writer. 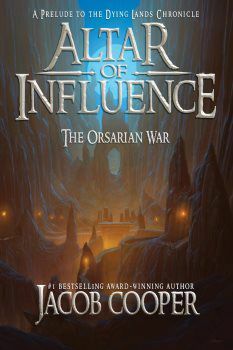 Highly recommended to ALL epic fantasy lovers."